Played this for years and years with my brother. Life sure was simpler then. And the easiest game to cheat at. We still play this game ( my sons). I love that Father + Son are playing a game while Mother and daughter are having fun doing the dishes. We didn't need no stinkin' plastic gizmos. 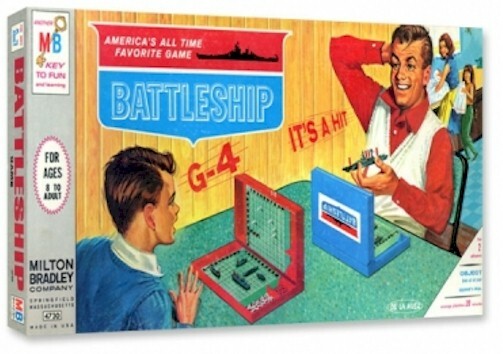 My Dad and I played Battleship with pencil and paper, and that was just fine.